Financial gifts are an excellent way to provide The Salvation Army with the funds necessary to meet the needs of the people we serve. Making a gift to The Salvation Army of appreciated stock and securities, bonds, and mutual funds has never been easier. Wills, Revocable Living Trust, Life Income Gifts, Charitable Gift Annuity, Charitable Remainder Trust, Life Estate, real Estate, retirement account, and more. There is now another way to give to The Salvation Army. You can use your miles to make a real difference in someone's life. 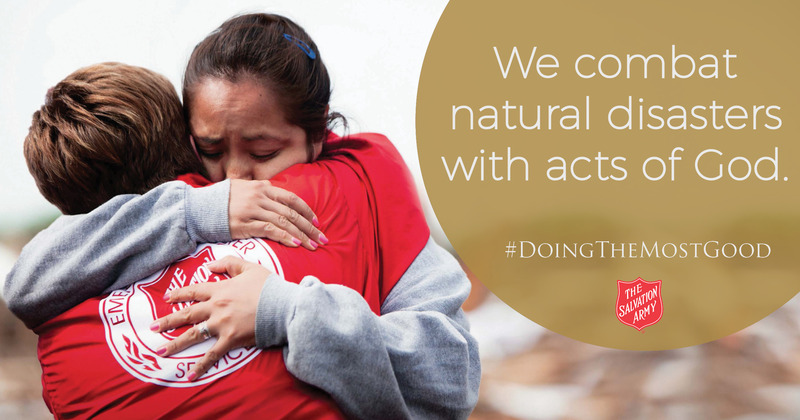 Every donation to The Salvation Army makes a life-changing difference. Not just for those in the grip of addiction, but for their families as well. Your vehicle donation will be used to help rehabilitate men and women in our Adult Rehabilitation Centers and give you a break on your taxes. Volunteers are valuable assets in The Salvation Army's efforts to meet the changing needs of our world. Discover the joy of giving back to your community; become a volunteer TODAY! A simple way to help millions in need online through email and social networking. Create your personal page to help a specific segment of our organization. Advisory Board members are community representatives who provide valuable assistance and advice in support of The Salvation Army’s mission.